Almost one year ago, USyd started looking for a way to replace the Blackboard Learning Management System (LMS) currently used across the board for online learning (sounds fun, right??). This move was aimed to meet 'a key target of the Strategic Plan 2016-20' - 'the move to a single, integrated, virtual learning environment' (Teaching@Sydney). A Request For Tender was issued by the university in September 2016, with this process coming to an end on the 31st March of this year - as Canvas by Instructure was announced as the replacement. 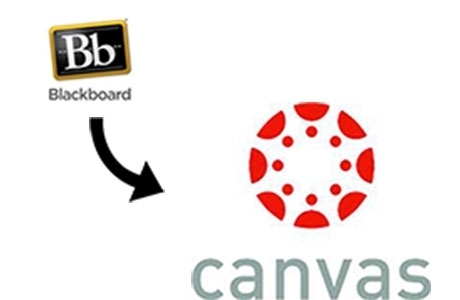 Canvas has started showing up in MyUni as of this semester, and 90 units of study across the university will trial the new LMS this semester, meaning that some students will have to use both Blackboard and Canvas to access all of their course materials. Canvas bills itself as 'A Better LMS', with features such as faster marking, automated tasks, inbuilt media recording and web conferencing, and custom notifications. There are fancy apps for Apple and Android devices, and you can connect your Canvas account with other social media accounts. It's all hosted in the cloud using Amazon Web Services, which means it should be more stable and require less scheduled maintenance than Blackboard has in the past. Your classes are going to start to look different online. If you're taking one of the 90 units of study chosen for the trial, you're going to have to use the two different websites to see everything and it'll be super annoying for the first few weeks until you remember which one is which. Students at Yale said it was easier to use Canvas once they got used to it, but they were just annoyed that some professors were slow on the uptake. For everyone not enrolled in those 90 units, you can wait until some stage next year to feel the same temporary inconvenience.